Hunter based Startups and Scaleups are invited to pitch at pitch events to be held at The Lock-Up in Newcastle on the 10th, 11th and 12th of April 2019. The judges of the pitches will score pitches on the same criteria for all pitch events in the series for consistency and finalists will be announced once all pitch events have been completed. There will be canapes and refreshments served and opportunities to network at each event. Judges will be encouraged to give feedback to participants at of the pitch events. Local service providers will be given the opportunity to network at each of the events. A Startup is a pre-revenue business with an ABN and an MVP and a Scaleup is a post-revenue business. Both Startups and Scaleups are expected to demonstrate novelty/innovation in their business model/product. 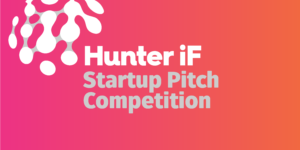 The finalists of the regional pitch series will be invited to pitch at the Hunter Innovation Festival Pitch X event to be held on Thursday the 16th of May as part of the Hunter Innovation Festival and then go on to pitch during Launch Festival Sydney in June showcasing the region’s best Startups/Scaleups.